Meal courtesy of Superstar BBQ. 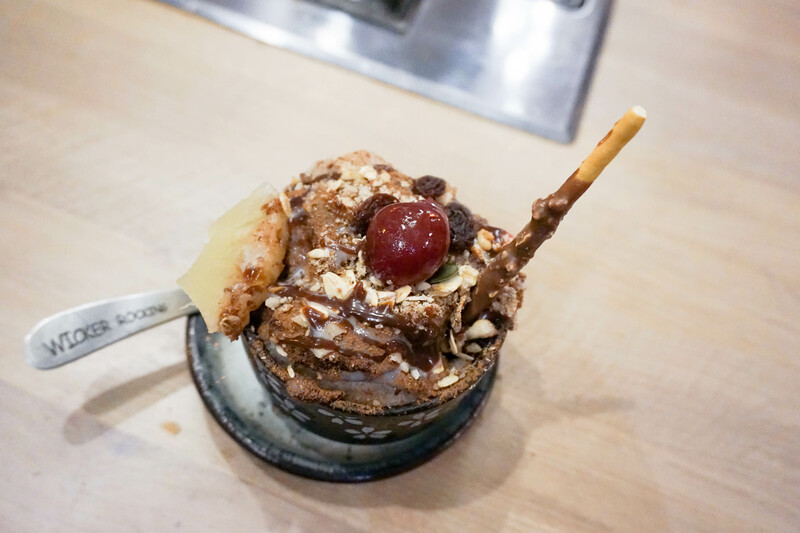 With an existing coup of Korean restaurants in London, the addition to Tottenham Court Road with Superstar BBQ doesn’t come as a complete surprise. With St Giles Street fast becoming a second Korea town (after New Malden), eyes were open, and ears were peeled to see what awaits in the St Giles Piazza. 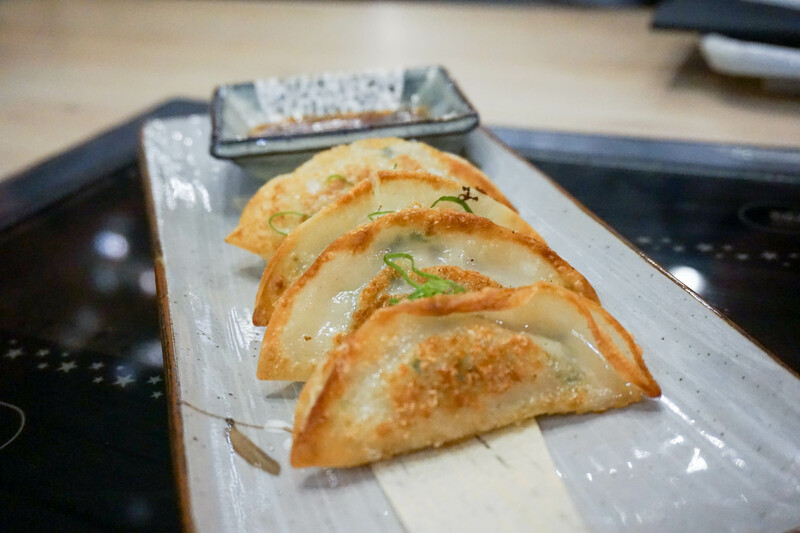 An impressive menu at a very competitive price, the new restaurant in town is somewhat flashy too with intricate baubles hanging from the ceiling and its very own karaoke room. Although a BBQ restaurant, it is vegetarian friendly, family friendly and date friendly too! Sophistication is what distinguishes Superstar BBQ between the rest, floor to ceiling windows and huge tables with a professional set of staff. A very westernised take on Superstar BBQ where no korean words are printed on the menu and staff who speak fluent English. 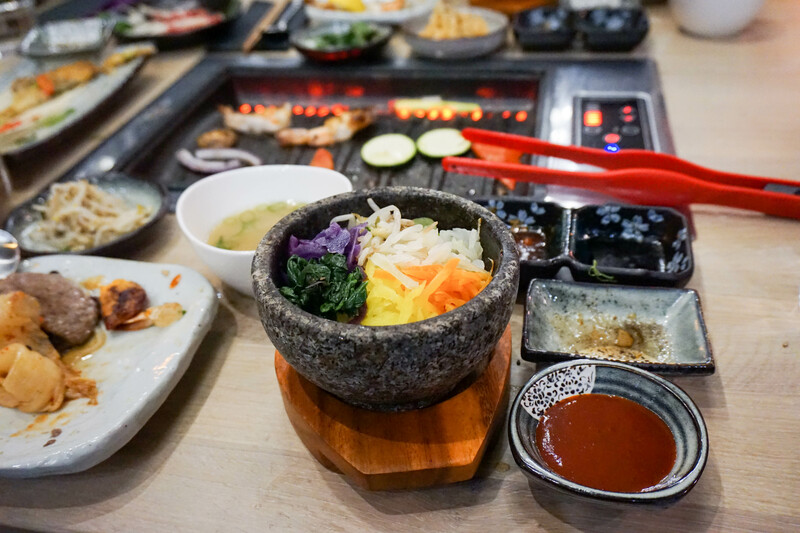 Korean BBQ has always been an on and off trend, with meat marinated and ready to grill at your ease with banchan (side dishes) to combine it with. 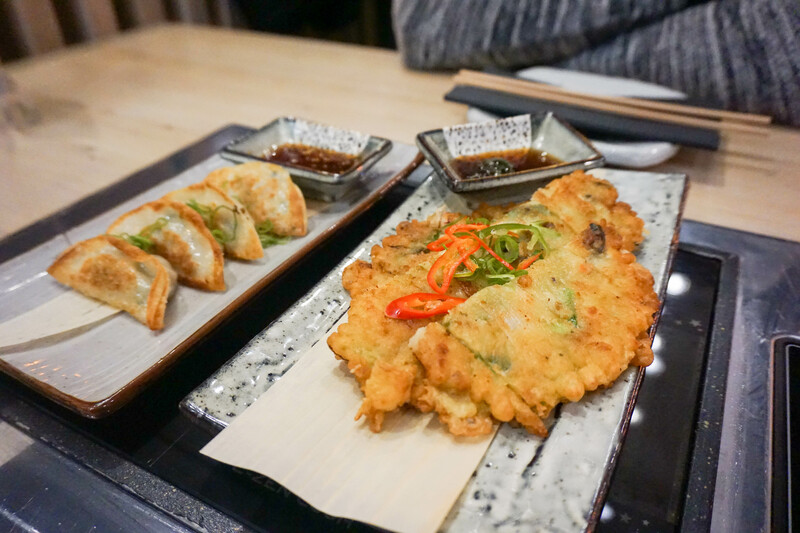 We had the option to go for any set meal for 2 – we chose set 3 which is £35.00. Below are what’s included. 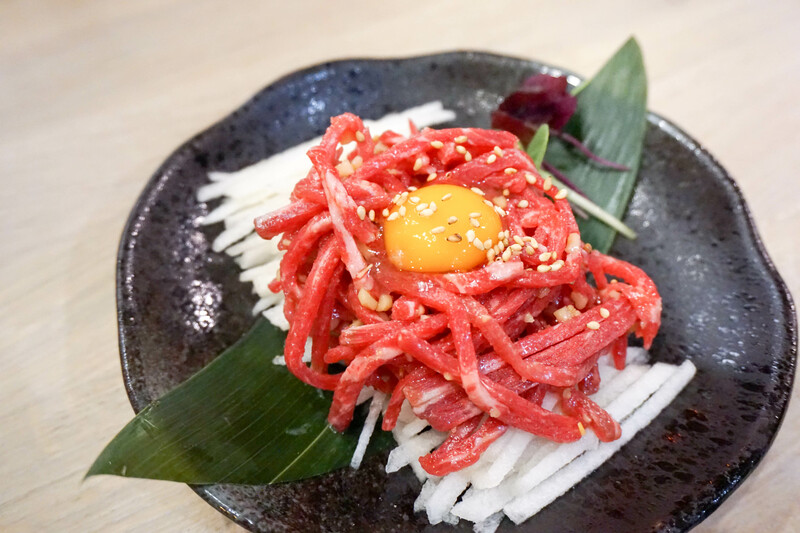 A very good yuk hwae, the sliced pears are sweet in nature and mixed with the raw beef is a perfect combination (and raw egg of course). 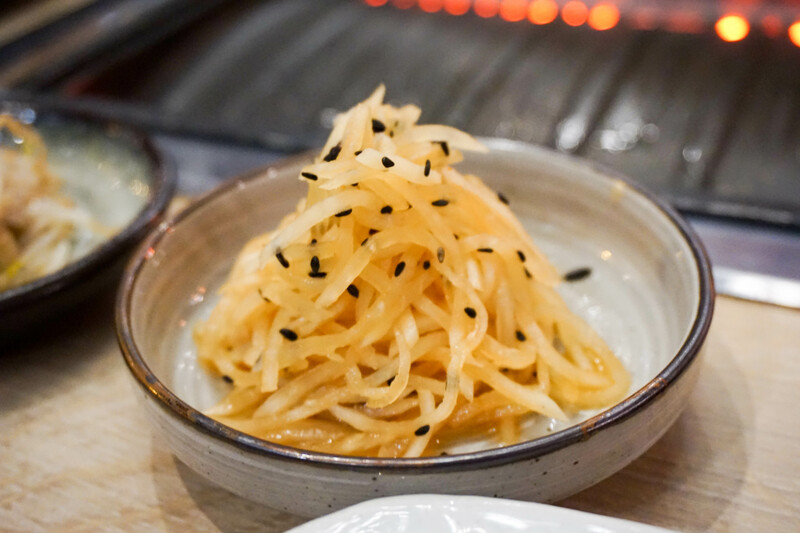 You will get another banchan which consists of namool. I believe these are seasoned beansprouts. 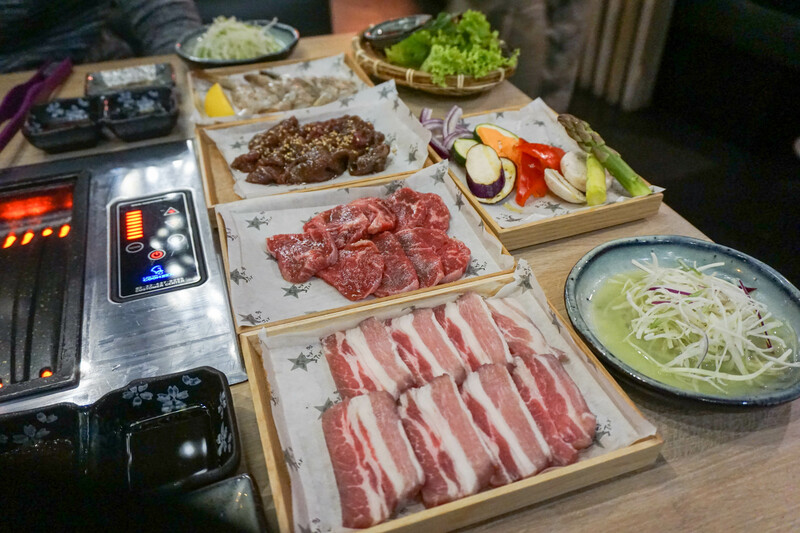 Tiger prawn, sesame and garlic sirloin, rib galbi, wine pork belly and grilled vegetables highlight the BBQ meat section. 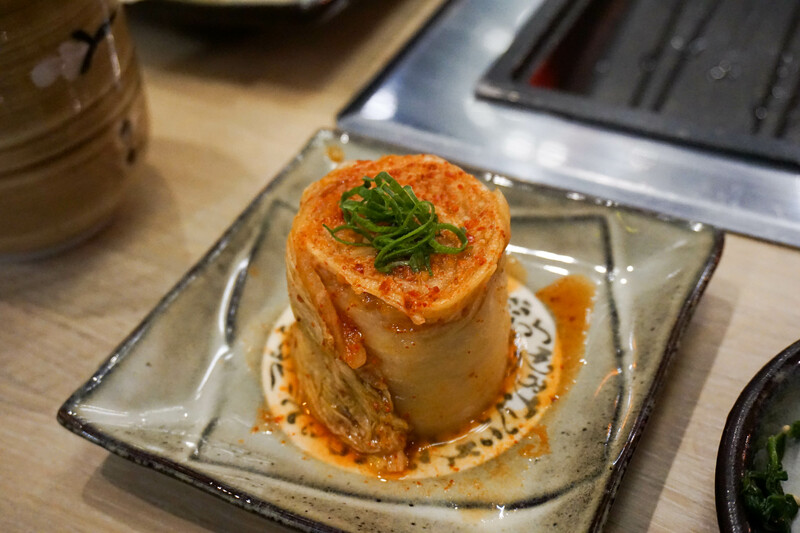 Not quite your typical marinated dishes but at the same time a very good take on Korean BBQ. The tiger prawn ended up too dry and mostly due to us over-cooking it! The bibimbap was slightly try for me, even with the extra gochujang sauce. This is most likely to do with the dry vegetables you get to mix within the bowl. All very cute though. These desserts are probably one of the best I’ve had at a Korean restaurant. 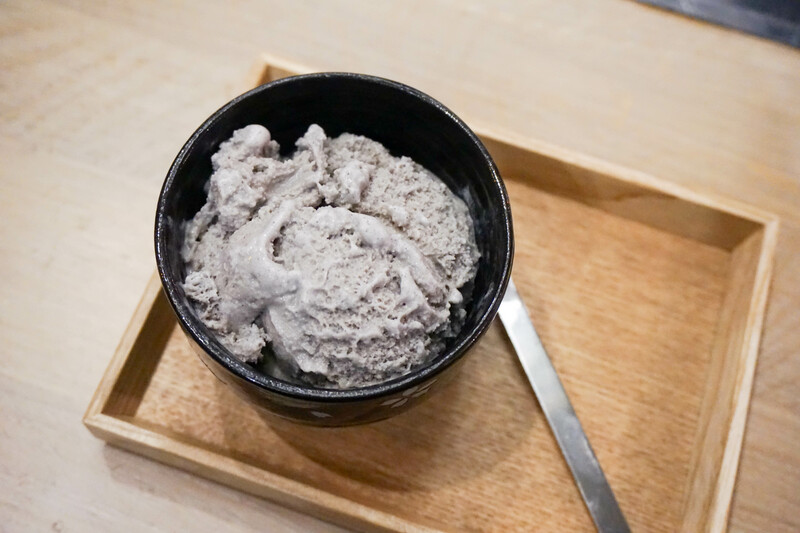 The black sesame ice-cream is strong in flavour and soft to spoon. The snowball (pictured below) deserves in own recognition. Quite literally a bowl of sugary goodness (a bit too much for me but most will like it), very much a Winter-y dessert. 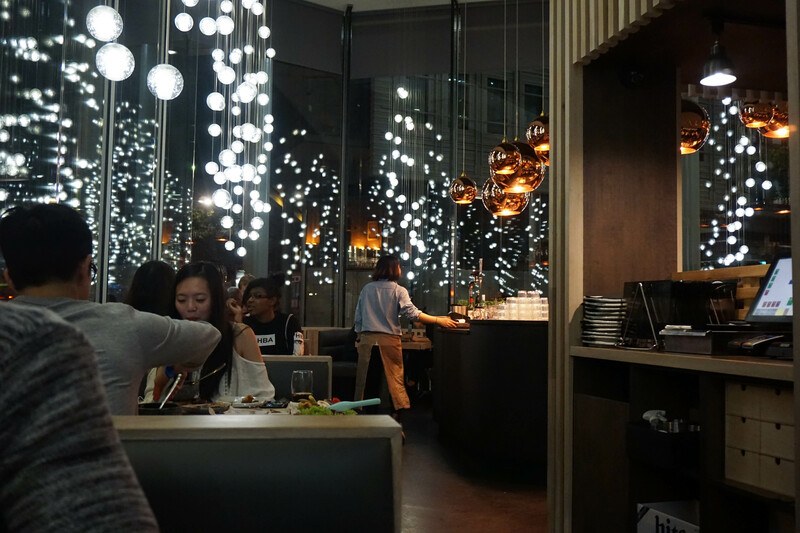 Right opposite Kanada-ya and Ippudo, you won’t be hungry in this area trust me. 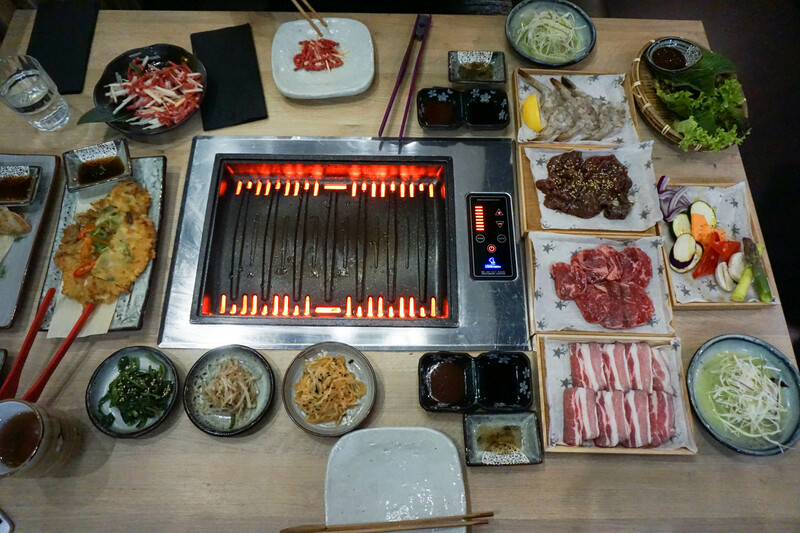 I really enjoyed Superstar BBQ when I went, first time I’ve tried a Korean BBQ! We had similar dishes to you but I wish I’d tried the dumplings. They look great! 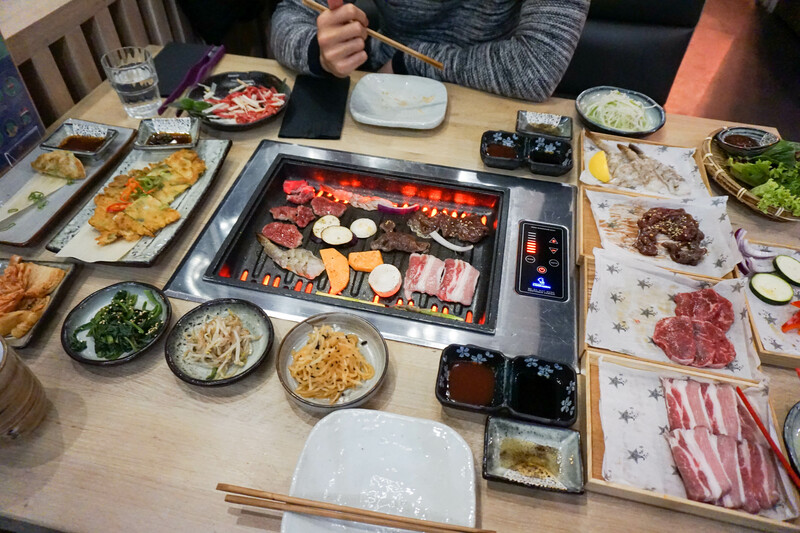 Yeah Korean BBQ is so good!